Save up to $200 with early bird rates! New AIA members register for free! This June, some of the most creative architects, designers, and firms will gather in Las Vegas for the architecture and design event of the year. Don’t miss it! Cities like Las Vegas, with its excess and ever-changing landscape, capture the world’s imagination. They’re incubators for transformation, and they’re leading trends that influence your work. A’19 is home to a speaker lineup you won’t find anywhere else. Don’t miss this year’s keynotes, June 6 at 5pm and June 8 at 8am! An unrivaled range of seminars, tours, workshops, and expo credit sessions bring the best new work and trending topics to you. You’ll also earn your HSW, ADA, GBCI, and AIA LU credits for the year. Choose from 150+ seminars by leading architects on the topics, projects, and trends redefining our industry. Arrive a day early to take advantage of 24 half- and full-day intensive workshops in small-group settings. Explore the iconic architecture of Las Vegas through 150+ expertly curated, one-of-a-kind tours. Learn about new product solutions through 130+ sessions led by leading building product manufacturers right on the expo floor. Networking happens everywhere at A’19! This conference is your opportunity to meet thousands of new contacts, partners, and collaborators, and gain access to high-profile speakers, brands, and firms. These expertly curated, architect-led tours take you behind the scenes of high-profile, historic, and avant-garde architecture both on and off the Strip. Check the schedule to see the full list of 150+ tours. With 750+ exhibitors, the expo is a product playground, showcasing the newest high-tech materials and solutions to hit the market. There’s also live programming, courses, demos, galleries, happy hours, and workspaces. We’re hosting the parties, celebrations, receptions, and events A’19 is known for, plus a few surprises! Here are a few of our most popular events; check the schedule for the complete list. Kick off your conference experience with an event that always sells out: Opening Night Celebration, hosted this year at XS Nightclub at the Wynn Resort and Casino, and sponsored by Oldcastle BuildingEnvelope. Meet us at the Paris Las Vegas Hotel to have a “France in Vegas” experience up in the sky. You’ll dance the night away 46 stories above ground and enjoy 360-degree city views. We’re hosting our signature event at Brooklyn Bowl Las Vegas, which Rolling Stone calls “one of the most incredible places on earth.” Sponsored by Kawneer. Blueprint for Better Film Series at A’19! Don’t miss the Blueprint for Better Film Series and the launch of the fifth annual AIA Film Challenge at A’19. The Pro Series is free with your registration! Join us for three brilliant sessions on artificial intelligence, experience design, and client relationships. 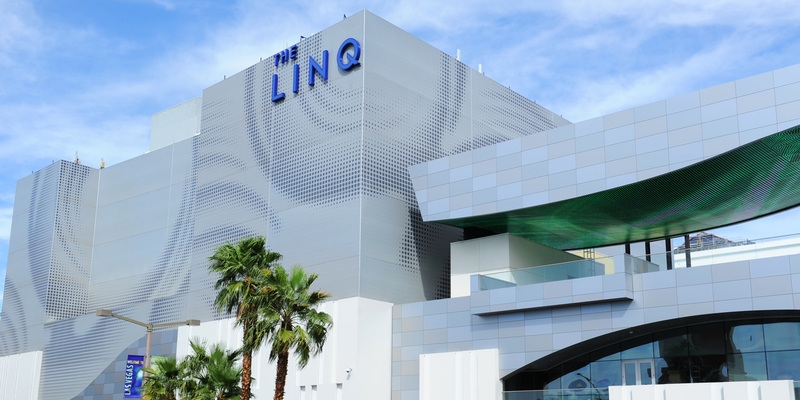 Join us for a tour of Las Vegas’ most fabulous and exciting architecture destinations. 150+ Exclusive architecture tours take you behind the scenes, only at A’19! Take a master class on June 5th! Don’t miss your opportunity to take a master class at A’19! This year’s program includes 20+ half- and full-day workshops on a variety of topics, and they’re your opportunity to take a highly-focused, in-depth class on the topic of your choice. People are your firm’s biggest asset. In a market this competitive, investing in your employees is an investment in your firm’s future. Professional development is a valuable perk that supports their careers and your business. Put your member benefits to work for you in Las Vegas with free registration to the AIA Conference on Architecture. New members get free registration, a benefit worth up to $875.